OtherSide Entertainment – SURPRISE! 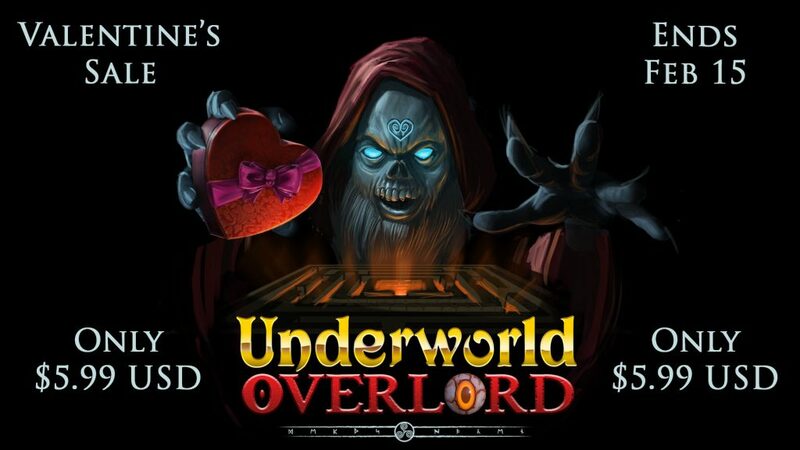 Underworld Overlord Valentine’s Sale! Only $5.99 USD! Ends Feb 15th! SURPRISE! Underworld Overlord Valentine’s Sale! Only $5.99 USD! Ends Feb 15th! Underworld Overlord, our Google Daydream exclusive VR game (that has been getting even more great reviews – thanks, everyone! ), has a surprise Valentine’s sale! Only $5.99 USD (from $7.99 USD) for this Valentine’s weekend! The Underworld Overlord Valentine’s Sale ends February 15th, 2017. Underworld Overlord is available exclusively for Daydream, Google’s high quality, mobile VR platform. You must have a Daydream Ready device, Daydream View and Daydream Controller to play Underworld Overlord. Check out what the press have been saying about Underworld Overlord! The Underworld Overlord Valentine’s Sale ends February 15th, 2017. Don’t miss this incredible deal on an incredible game!